The Surveillance Unit of the Comptroller General’s Compliance Team has in the last nine months made serious incursions in curtailing the nefarious smuggling trade with spectacular seizures worth more than ₦5 billion. It has also uncovered several techniques used by smugglers who engaged in bringing in contraband such as rice, second hand vehicles, vegetable oil as well as used tyres. In the last two weeks the Unit raked in seizures with Duty Paid Value (DPV) of ₦70 million. The smugglers had invented a technique whereby 40-footer containers are divided into two, using the inner side of it to store smuggled poultry products while the exterior was kept empty. The inner container has an iron door welded to it. At the customs check-points, the smugglers would quickly open the exterior which is empty to the officers on duty. 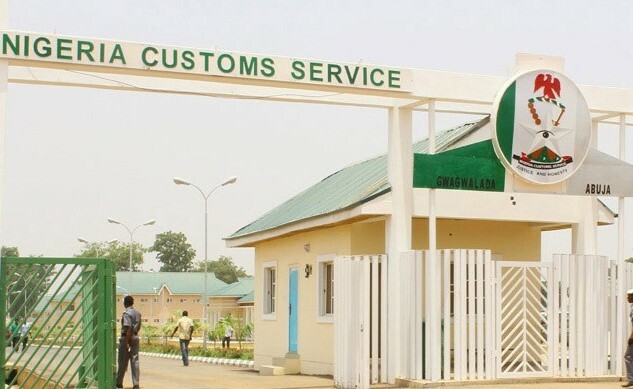 It will however take the ingenuity of the officers at the check-points to be able to know that a big space has been created inside the big container for the purpose of smuggling. The Head of the Surveillance Unit, Chief Superintendent Hassan Bello said his men have been trailing those behind this new innovation in the illegal trade until middle of this month when it succeeded in arresting them. Apart from large poultry products, other goods they smuggled using same mode include vegetable oil, deodorant (roll-on) and imported rice. He said two suspects in connection with these trade malpractices are in their custody. It took the unit six months to discover and track the suspects. Drugs impounded in the period under consideration include Newdol Diclofenac, Sodium Capsules, Analgesic /anti-inflammatory. Others are Chaka pain Diclofenac (50mg) and Jimbuwol, all said to be heading to the east before they were smashed. Just a few months ago, the Surveillance Unit intercepted more than 20 Sports Utility Vehicles worth more than ₦20 billion. They are still parked at the customs training school Ikeja, with no owners coming forward to claim them. One other spectacular seizure made by the Unit include 72 containers of wood heading for export at the Premier Port, Apapa. After examination, 51 containers were discovered to be unprocessed wood which by Nigerian law is prohibited for export while 21 containers were found to be processed wood and qualified for export.